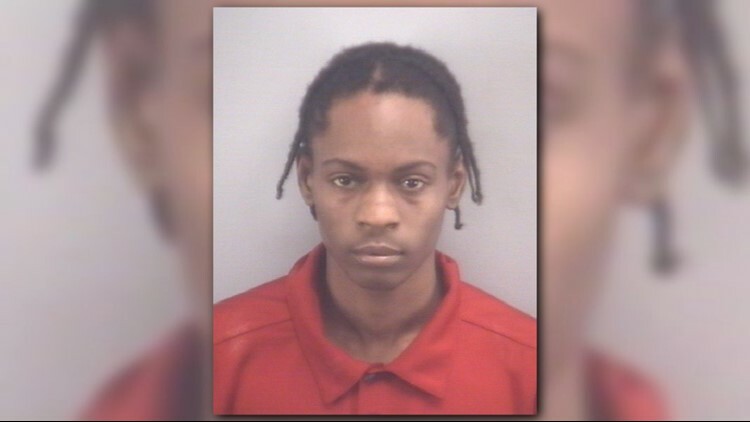 Virginia Beach police officers said Michael Coleman and a 17-year-old intended to carry out a terrorist act at the Bayside High School prom. VIRGINIA BEACH, Va. (WVEC) -- Police said officers arrested two people who conspired to commit a terrorist act at Bayside High School's prom at the Town Center of Virginia Beach this past weekend. Around May 30, members of the community told the police that a few people who weren't associated with Bayside High School were trying to purchase tickets to the school's prom. Officers and the school board increased security plans for prom night. While the event took place, police noticed an increase in violent activity in the area. Investigators determined the two events were not related. When officers tried to confront a specific individual whom they said was trying to get into the prom, he ran. Police said he discarded a handgun as he ran. Officers continued their investigation, and they went through the individual's social media accounts. They obtained a search warrant for a room in the Westin Hotel, and when they entered the room, they saw the 17-year-old who ran. He had a semi-automatic rifle in the room with him. Police charged him with possession of a weapon, and conspiracy to carry out a terrorist threat. Police said they identified the second suspect as Michael Coleman who had unrelated charges against him in Norfolk. Officers took Coleman into custody and charged him with two counts of trying to conceal a weapon, and conspiracy to commit a terrorist act in connection to the incident at Town Center. The 17-year-old is being held in secure detention pending his trial. Coleman is currently being held in Norfolk. Good afternoon, Marlin families. This is Mr. Miller, principal of Bayside High School, calling with information about a police matter related to our senior prom. Over the weekend, two teens who do not attend Bayside High School were taken into custody following a criminal investigation. One of these teens was arrested at our prom’s hotel Saturday night. Please know that we take the safety of our students very seriously. In fact, extra security was on hand at the prom after police advised us of previous neighborhood incidents occurring within the Bayside school zone. I am grateful to the Virginia Beach Police Department and the school division’s Office of Safety and Loss Control who partnered with us to take the necessary steps to ensure our students could safely enjoy their senior prom. Now, it is time for us to turn our attention to this week’s final exams and, of course, graduation. As a reminder, guests must have a ticket to attend the graduation ceremony at the Virginia Beach Convention Center. And, as in past years, attendees will be subject to security checks supervised by the Virginia Beach Police Department. Thank you. Police held a news conference at 4 p.m. Monday to discuss the arrests.